We are swooning over this organic modern architecture in a great North Boulder location. This is a 4 bedroom home on a large 9000+ sq ft lot, with 2 south and north-facing yard spaces. The green-built structure boasts attention to every detail and architect-selected finishes. 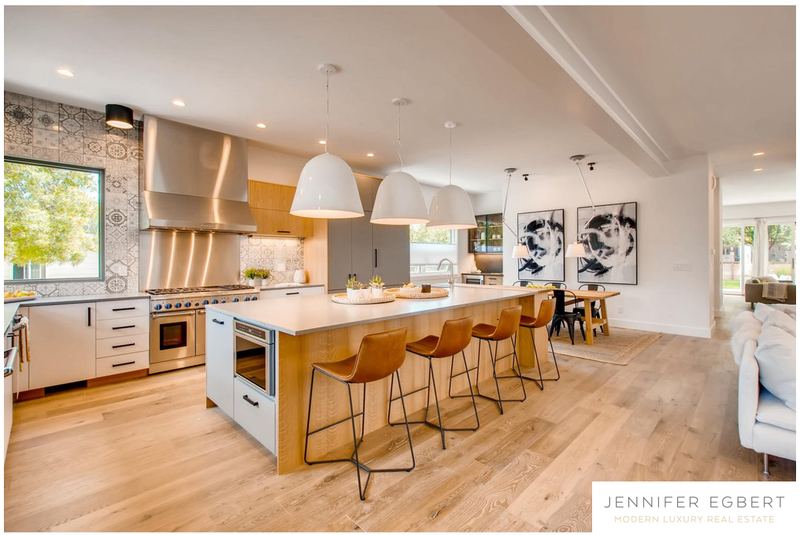 Enjoy a high end Thermador equipped chef’s kitchen, wide plank wood floors, wool carpeting, IPE decking, Artemide lighting, Hans Grohe and Duravit plumbing fixtures. Listed by Eighty 30 Realty-Boulder.